Science Niche – We are the team of investigators to find the best content across the countries. Science Niche is a professional science blog. This what your Science Niche Blog Ad will look like to visitors! Of course you will want to use keywords and ad targeting to get the most out of your ad campaign! So purchase an ad space today before there all gone! Neurodegenerative diseases like dementia, Alzheimer’s, Parkinson’s, Schizophrenia have a deep social-economic impact on the person suffering as well as to the family and friends. With an advanced understanding of neuroscience, neurodegenerative disorders are better understood now. However, social support still plays a vital role in helping people with diseases like dementia, Alzheimer’s, Parkinson’s, Schizophrenia. People suffering from these diseases need assistance for doing even routine daily activities, such as bathing, dressing, eating and using the bathroom. Dementia or memory loss is highly prevalent among elderly people mostly above the age of 60 years. According to the Global Voice on Dementia, 50 million people suffered from the disease in 2017 which is expected to increase up to 75 million in 2030 and 131.5 million by 2050. People with dementia usually have difficulty remembering the order in which to do things (e.g. what to wear first; the pant or the underwear); forgetting to do something (e.g. locking the door); forgetting how to do things (e.g. how to use a coffee machine); doing things again and again forgetting what has already been done (e.g. checking the mailbox several times); difficulty in recognizing objects for what they are used for (e.g. that a toothbrush is for brushing teeth); not making connections (e.g. hearing the phone but not answering the call). In such circumstances, carers are required to take care of the patient almost all the time. Parkinson’s disease is a type of movement disorder and is characterized by shaking, or tremor of the hands, face, and limbs; the vast majority of people with the disorder will suffer from tremors to some degree. People with severe cases of Parkinsonism find it difficult to with everyday activities like dialing a phone number, lifting a spoon to mouth, or button a shirt when hands and arms are shaking uncontrollably. Apart from this many people with the disease also develops psychiatric symptoms such as depression and emotional disturbances. Chewing, swallowing, and speaking may also become difficult for people with Parkinson’s because of the loss of control over the voluntary muscles of mouth and throat decline. This can be extremely dangerous, as it can result in choking. Schizophrenia is a very serious psychological disorder which influences a person’s feelings thinking ability, actions, and reactions. They man also face issues in recognizing what is real and what is virtual; they might be lethargic or unresponsive in nature and may experience issues in communicating ordinary feelings under different social situations. People may complain of hallucination of seeing, hearing or smelling something which does not even exists. They may also have a complete absence of feelings as well as its expression. People with such disorders usually cut off from society, so the warmness of love, affection, and care from family and friends become very important for their survival. Social awareness is very important to make society accept and understand that people with dementia, Alzheimer’s, Parkinsonism, Schizophrenia need to be treated similarly like others. It is very important to promote the social interaction center for the patients to help them understand how they can help themselves. This will also take off some social pressure off the families and friends of sufferers. The dilemma of the disease is that there is no permanent cure and love and support to the patients are the only ways to lessen up their day to day hardships. Author: Dr. MA Jahangir (Ph.D.) is a freelance science blogger. He has co-authored in more than thirty scientific articles and three chapters in renowned international journals and books. The post Social Hardships of People with Neurodegenerative Disorders appeared first on Blog. Proteins are the building blocks of almost all organic components. Varying combinations of nitrogen-containing amino acids make up the complex structure of the protein. The bones, muscles, arteries, veins, skin, hair, nails and even the heart, brain, liver, kidneys, lungs are made up of tissues built by proteins. Proteins are also found in the form of hemoglobin, enzymes and hormones in the body. Thus, by this fact it is clear that proteins are one of the most important organic matter of our body. Are the proteins always that good to us? Many researchers around the globe have reported that there are certain types of proteins that directly or indirectly triggers the cancer phenomenon. Researchers from the University of Geneva have reported in their study that APOBEC proteins which usually protects the body from viral infections may take advantage of a weakness in DNA replication to induce mutation in our genome. In a similar kind of research mutation in the Ras gene leads to tumor development and is prominent in more than 30% of human cancers. Receptor-tyrosine-kinase-like Orphan Receptor 1 or ROR1 which assists in embryogenesis and organ development may trigger relapse and metastasis in patients with breast adenocarcinoma. So, proteins are not always that good!! What is a Checkpoint protein and how it won the Noble Prize in Physiology or Medicine 2018? Since our high schooling, we knew that the immune system is the defense system that kills foreign cells and protects us from diseases. The immune system has a unique ability to differentiate between normal cells of the body and foreign components. To do this in an effective manner, the immune system uses “checkpoints”. These checkpoints or barriers are proteins that need to be activated or deactivated to trigger an immune response. They act like a brake. Thus, it helps in keeping the immune response in check. These brakes are present in our normal cells and thus protects it from getting attacked by our own immune response. Unfortunately, many cancerous cells do also have these checkpoint proteins which helps them evade an immune attack. Totally bluffed!! The breakthrough research: James P. Allison, from the University of Texas, MD Anderson Cancer Center in Houston and Tasuku Honjo, from Kyoto University in Japan, discovered a new approach to kill cancer cells. They discovered that instead of targeting cancerous cells directly, releasing the checkpoint protein brakes will allow the immune cells to attack cancerous cells. Checkpoint inhibitors are those drugs which work on the mechanism of releasing the brakes on the immune system. This is a novel approach in treating cancer where our own immune system is triggered to target the cancer cells by lifting up the protein checkpoint barriers rather than providing any antibody to kill them. With this approach, a new era of “Immunotherapy” has arisen. Checkpoint inhibitors have its own limitations and is approved for the treatment of some specific type of cancers only. Checkpoint inhibitors are available in the market for the cancers of lung, kidney, bladder, head and neck, Hodgkin lymphoma, skin cancer melanoma, and others. This treatment is very expensive and has its own list of side effects. The post Checkpoint Inhibitors and Nobel Prize in Physiology or Medicine 2018 appeared first on Blog. Clinical pharmacy is a branch of pharmacy in which pharmacists provide patient care that optimizes medication therapy and promotes health, and disease prevention. The role of clinical pharmacist’s importance started from 1960s as their participation in direct patient care increased during the years. clinical pharmacist can give you better advice on your medicines. Working with patients to solve problems with their medications and improve adherence. Can play a crucial role in medication-related issues. Evaluating any medication adverse drug reaction. Can play a more role in finding drug-drug interaction and food-drug interaction by shear knowledge. Can help to minimize poly pharmacy (more than one drug prescription). Clinical pharmacist having crucial role in phase four trials in finding drugs side effects on taking for longer period of time. Clinical pharmacists can work together with pharmacists with all health care professionals to better patient care. R T Calvert from Pharmacy Department, Leeds General Infirmary, Leeds Teaching Hospitals NHS Trust, Great George Street, Leeds LS1 3EX has published an article in Br J Clin Pharmacol. 1999 Mar; 47(3): 231–238. Were he mention in his study that the key research areas were clinical pharmacist are needed for better patient care. “Clinical pharmacy is concerned with improving the use of medicines, however there is little evidence that it has improved the safe use of medicines, decreased iatrogenic disease or reduced adverse effects associated with medicines despite over 20 years of clinical pharmacy in the UK and USA. It is known that adverse drug events are a significant cause of morbidity and mortality. A clinical pharmacy service would be expected to reduce the incidence of such events but no one has, as yet, evaluated this hypothesis in detail. Drug induced problem are the major cause of hospital admissions. Participation of clinical pharmacists in discharge planning and advice to patients about their medicines could reduce the incidence of re-admission. Using a pharmacist to give advice to individual patients would require an increase in the numbers of ward-based pharmacists. It might be more appropriate, recognizing the present difficulties of recruitment, to explore the alternative ways of reaching the desired outcome. Research programs could test such options as involving pharmacists in the training of pharmacy technicians or nurses to advise patients about their medicines and to develop criteria which could identify those patients that would be benefitted from discussing their medication with a pharmacist. 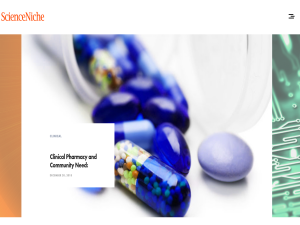 The post Clinical Pharmacy and Community Need: appeared first on Blog. In approximately of 37 million Americans experience the ill effects of hearing misfortune. One’s listening ability can be impeded because of various variables including maturing, introduction to boisterous noises, or certain therapeutic conditions. The Bose gadget is expected to enable the individuals who to experience the ill affects from gentle to direct hearing disability. It is manufacture by Bose Corporation. FDA approved the sale of the first hearing aid that users can buy, fit, and use themselves, without any help from experts. It can be used by anyone available over the counter for patient above 18 years. It is world first self fit hearing approved by FDA and will be available soon. Boss hearing aid device is a self fitted wireless air condition instrument. It captures sound vibration from one or more microphones. The signal is processed, amplified and played in the ear canal through an ear phone. It can control by mobile application for any adjustments. It is one of the first hearing aid device cleared de nova pathway. A novel device without any prior marketed device in market. Bose Corporation filed the device with FDA on May 2018 and received the approval on 5th October, 2018. A listening device is a gadget intended to enhance hearing by making sound perceptible to a man with hearing disorder. It could be regulated with the utilization of listening devices or hearing implants. A hearing aid device is an instrument regularly fitted in or behind a wearer’s ear, intended to intensify and regulate sound. A normal listening device gadget incorporates a mouthpiece, an enhancer, a collector/speaker, and is fueled by battery. Portable hearing assistants can be described as monaural and binaural. The real drivers of the hearing aid device advertise incorporate expanding of hearing misfortune patients, particularly in the developing economies. In addition, most recent headways in 3D printing has empowered the technique of developing 3D pictures of faulty ear waterways to give the ideal portable amplifier gadget or treatment to the patients. This progression is relied upon to drive the market in the created nations amid the conjecture time frame. The sellers are right now concentrating on the innovative progressions, new item dispatches, and mergers and acquisitions lead the market position. FDA reviewed data reports that clinical study of 125 patients outcomes are demonstrated with self fitting device are comparable on average to those with professional fitting of the same device. “Approval of the Bose device should make it easier for patients with mild to moderate hearing issues to obtain the help they need” says Malvina Eydelman, Director of the Division of Ophthalmic, and Ear, Nose and Throat Devices at the FDA’s Center for Devices and Radiological Health. The post Bose Hearing Aid Approved by FDA Denova Process appeared first on Blog. Bioartificial Organs – 3D Printing Patients who need an organ transplant are many times more than the people who are willing to donate organs all around the globe. In most... The post Bioartificial Organs – 3D Printing appeared first on Blog. Patients who need an organ transplant are many times more than the people who are willing to donate organs all around the globe. In most of the cases organs for transplant can be bequeathed for patient only after the person had died. In view of this there were several studies working on stem cells to grow artificial organs in the lab and implant in the body. This field mainly embraces the ability of engineering damaged tissues and organs by stimulating the body’s own repair mechanisms to functionally heal formerly irreparable tissues or organs. From past few decades regenerative medicine or bioartificial organs is a science fiction fantasy. Unlike other new healthcare treatments regenerative medicine requires proficiency from a variety of professionals like chemistry, medicine, computer science and engineering. In reality it would change the fate of the future generation in medicinal approach. Bioartificial organs are the organs developed by maintaining stem cells or living tissues embedded in natural or synthetic scaffolds in vitro. They are enabled to perform complex biochemical functions, including adaptive control and the replacement of normal living tissues. In most of the cases stem cells come from the transplant recipient, thus the body’s immune system cannot reject the bioartificial organ. The bioartificial organ implanted can be treated as regular living tissue by the body when the blood supply was naturally rerouted. Is the future of Bioartificial Organs – 3D Printing? Charles W. Hull invented the solid imaging process known as stereolithography or 3D Printing. Three-dimensional 3D printing involves the procedures in which materials are joined with additives under computer control to create a three-dimensional body. 3D bioprinting utilizes 3D printing to combine cells, growth factors and biomaterials to develop organs that are similar to natural tissue in all characteristics. Bioprinters use human cells as ink, generally patient’s own cells are used to avoid the immune system rejection. The 3D bio printer lays down a flexible, permeable scaffold made of hydrogel. The scaffold is then covered with skin cells and cartilage cells. These cells grow and fill in the organ shape. The hydrogel in due course biodegrades. The major difficulties aroused for scientists in making 3D-printed organ was to create blood vessels due to its long and thin structures they are hard to be print. Blood vessels contain arteries, veins and capillaries which are needed to pump blood and supply the nutrients to make the developed organ to be natural. Organovo was one of the first bio-printing companies founded in 2007. Drug testing and research has been carrying out on the first developed liver tissue samples by them. They were hoping to develop a functional liver in the near future. Anthony Atala, the director and their team from Wake Forest University’s Institute for Regenerative Medicine developed an artificial ear by 3D bioprinting in about six months. So far, an 83-year-old woman in 2012 was implanted with 3D-printed titanium jaw and a person in US was implanted with 3D-printed plastic skull in 2013.Scientists are now working on budding more complex organs using 3D bioprinting. Forthcoming innovations in this area may reduce the number of patients who are waiting for transplantation of organs. The post Bioartificial Organs – 3D Printing appeared first on Blog. World first real time portable DNA Sequencing, MiniIT launched by Oxford Nanopore Technologies. It is a rapid analysis device compatible with MinION DNA/RNA sequencer. It was at first presented in 2014 and business propelled occurred in 2015. It is enabled with ‘Rev-D’ chip where the DNA sequencing has been increased 100 fold. It is 7x faster than any other typical CPU based laptop and can generate 30 GB of data which is equivalent to 10X human genome. Main feature of the device is that it can be used more than one user in any location around the world. For sequencing in this device, there is no influence of outside environmental factors like temperature, light, air, humidity, radiation, etc. Sequencing offers research scope in various fields of microbiology, plant research, population genomics, infectious disease and microbiology, outbreak disease surveillance, forensics, environmental monitoring, food safety & efficiency and many more. It provides a greater insight to for a particular sample disclosing the answers of future. It can be used as a standalone unit or with any laptop or smartphone in remote locations. It is equipped with Linux OS, MinKNOW, Guppy, EPI2ME software’s with Bluetooth and Wi-fi feature. It has an onboard storage of 512 GB SSD, 8 GB RAM and GPU accelerators. It provides real time information for data analysis due to NVIDIA AGX system. It is powered by main battery which is also available separately. It also consists of in-house proprietary nanopore sequencing technology. Battling infections that obliterate harvests: Researchers in East Africa have utilized the MinIT and MinION to portray pathogens influencing Cassava plants. Playing out their tests on a cover, under a tree on a smallholding ranch in Tanzania, the group described infections in charge of cassava malady, from test to reply in less than three hours. This gives researchers and agriculturist’s basic data when attempting to battle plant pathogens to enhance trim profitability. Marine research: This week, an accomplice of 11 college students conveyed the MinIT and MinION on board an exploration vessel (Sikuliaq) in the Bering sea. They performed installed investigation of seawater, looking at networks of marine microorganisms. Getting ongoing information amid research campaigns that could a weeks ago or months will be valuable to ecological researchers looking to comprehend biodiversity in the sea, and how environmental change can influence microorganisms in the ocean. So when two whitefly-borne infections assault the plant, the outcomes to farmers and purchasers can be pulverizing. Auspicious analysis of the cassava pathogen hadn’t been conceivable. Rather, farmer who speculated their plants were infected needed to devastate their plants. Nonetheless, DNA data can enable agriculturists to recognize which infection the plant has, so they can make the proper move. It is also compatible with Flongle an adapter. MinIT additionally comes preconfigured with programming to run nanopore sequencing tests, expelling the requirement for arrangement of a PC. The instrument programming MinKNOW, and continuous investigation stage for nanopore information, EPI2ME, can both be kept running on MinIT. It can easily identify infectious disease anywhere, genetic analysis of cancer and identify disease like Zika, Ebolla and others. It can a next generation sequencing instrument which helped Oxford Nanopore raised $140 million from an international syndicate of investors. The post MinIT Launch by Oxford Nanopore appeared first on Blog. If you are the owner of Science Niche, or someone who enjoys this blog why not upgrade it to a Featured Listing or Permanent Listing?